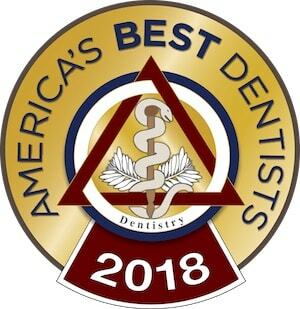 At Firouzian Dentistry, dentist Dr. Michael Firouzian and his dental team utilize the most advanced dental techniques and technology to help you avoid common dental problems. If you do find yourself developing one of these problems, we offer effective treatments – from dental cleanings to tooth crowns – to people living in Columbus, Ohio and the surrounding areas. No one wants bad breath, and while some cases of bad breath are not serious, halitosis causes bad breath that does not go away. Millions of Americans have halitosis, an embarrassing and inconvenient condition. To combat halitosis, Dr. Firouzian and his team provide the Breath Rx System, a long-term breath-freshening treatment. Before your restoration is placed, damaged enamel is removed from the decayed tooth. With Anutra buffered anesthesia, this procedure is more comfortable than ever. There are several reasons why your smile shows a disproportionate amount of gum tissue. The cause of your gummy smile will determine the treatment options available. The reasons for gummy smiles include:One of the most common dental problems is yellow teeth. Tooth stains are largely caused by the food and beverages we consume, especially wine and coffee. Nicotine is another major cause of tooth stains, and some yellowing is simply hereditary. These treatments can whiten your teeth several shades lighter. Regular professional dental cleanings and proper oral hygiene at home is critical to preventing gum disease, a condition in which infection of the gums spreads to underlying bone and ligaments. Gum disease is one of the main causes of tooth loss in adults. Periodontal therapy can slow or stop the progression of gum disease. Oral cancer is a devastating disease and a fairly common form of cancer. One person dies because of oral cancer every hour of every day. Although smoking and excessive alcohol consumption greatly increase the risk of oral cancer, everyone is at risk. Early detection and treatment is critical – when detected before it spreads, the cure rate of oral cancer is about 90 percent. Unfortunately, early detection often does not occur because early signs of the cancer are difficult to see upon visual examination. At Dr. Firouzian’s office, we are committed to using advanced technology to identify oral cancer. Identafi® technology enables Dr. Firouzian to detect subtle, under-the-radar cellular changes in your mouth, throat, tonsils and tongue. Identafi® is used in a quick, painless exam. Using light fluorescence technology, Identafi® makes early-stage cancerous abnormalities apparent to Dr. Firouzian. Incorporating an oral cancer screening into your regular dental visits is an easy way to prevent this disease. To learn more about how general dentistry can treat common dental problems, please contact experienced Columbus, Ohio dentist Dr. Michael Firouzian to schedule a consultation at Firouzian Dentistry.